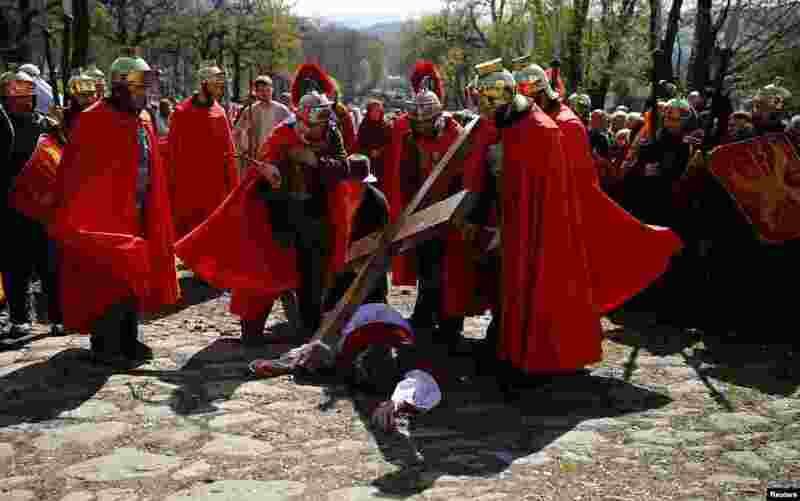 5 Polish devotees play out the Way of the Cross on Good Friday at the Sanctuary of Kalwaria Zebrzydowska near Krakow, southern Poland, April 18, 2014. 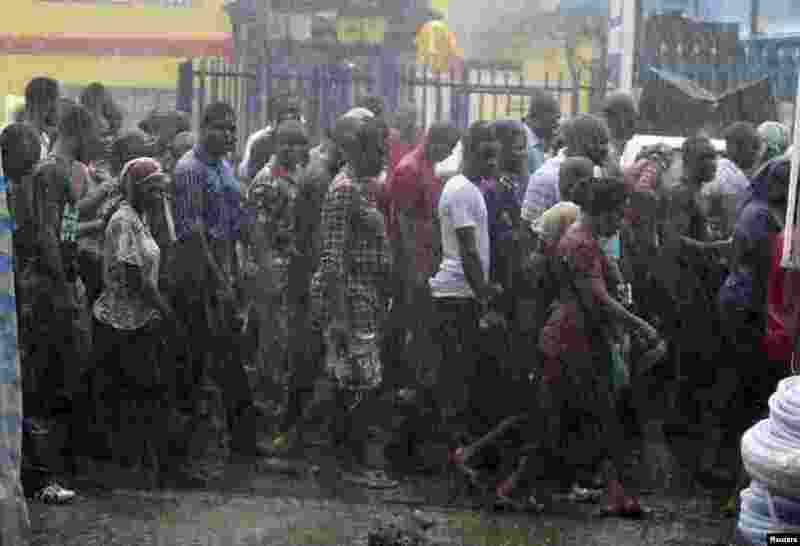 6 Catholic faithful walk in the rain during a procession reenacting the death of Jesus Christ, on Good Friday in Lagos, Nigeria, April 18, 2014. 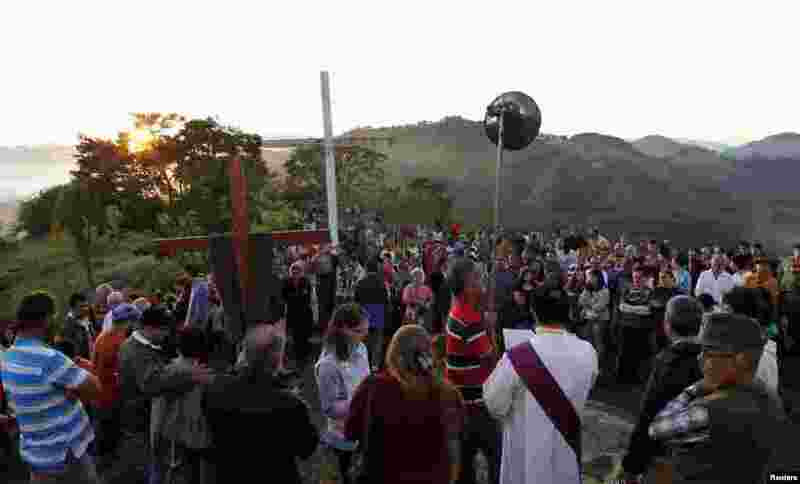 7 Catholic devotees attend a procession at the Cruzeiro mountain to mark Good Friday in Goncalves, in the state of Minas Gerais, southwestern Brazil, April 18, 2014. 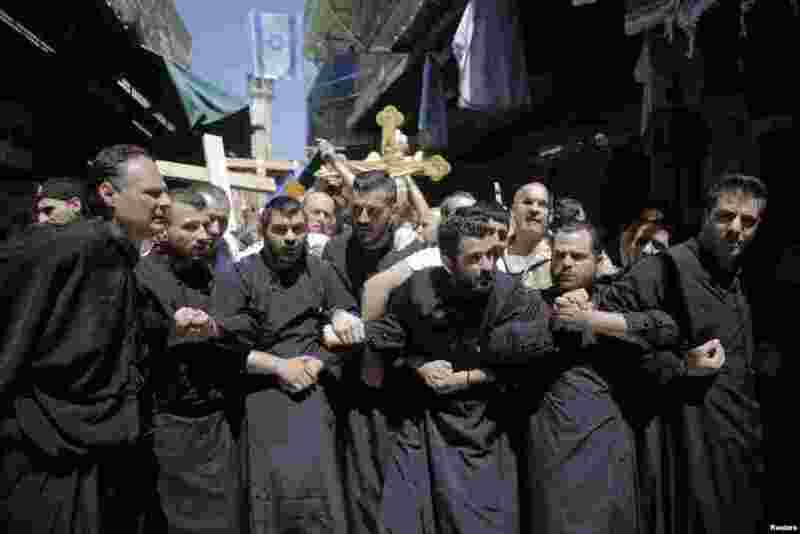 8 Christian worshippers lock arms during a procession along the Via Dolorosa on Good Friday during Holy Week in Jerusalem's Old City, April 18, 2014.